Available throughout the Jaguar lineup, Jaguar InControl Apps allows you to use select smartphone apps via the touchscreen. Whether you own an Android or Apple smartphone, you can utilize Jaguar InControl Apps to stay entertained, or to help you plan your next restaurant trip to Irvine. Read on to learn more about setting up Jaguar InControl Apps and what you can do with it! How Do I Set-Up Jaguar InControl Apps? Q: How do I get Jaguar InControl? A: Jaguar InControl is available when you order your vehicle or purchase it at a dealership with the necessary equipment already installed. The hardware can’t be fitted after manufacturing is complete. A: How do I know Jaguar InControl is activated in my car? Q: After you’ve successfully activated your services, you’ll receive a confirmation email letting you know you can use Jaguar InControl. Q: How do I use Jaguar InControl if I’ve purchased a pre-owned vehicle? A: If your pre-owned vehicle has Jaguar InControl, you’ll see two flags on the overhead console, which can be pressed open to show the SOS button. 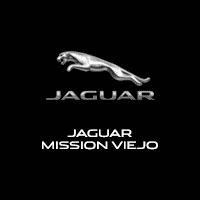 Jaguar Mission Viejo can assist you with creating your account and activating your services. Q: How can I remove InControl services like Jaguar InControl Apps? Test Drive a Jaguar with InControl Apps at Jaguar Mission Viejo! Ready to see how Jaguar InControl Apps works in person? Schedule a test drive at Jaguar Mission Viejo, located near Laguna Beach and Irvine. Before you schedule, take a moment to browse our current offers! 0 comment(s) so far on What is Jaguar InControl Apps?